Today’s guest is critically acclaimed sports reporter who was once featured on ESPN’s weekly Sports Reporters show, but his life was forever changed when he discovered that his college professor was dying from Lou Gehrig’s Disease (also known as ALS). Since writing his first book Tuesdays with Morey, he’s sold over 39 million copies of his books. 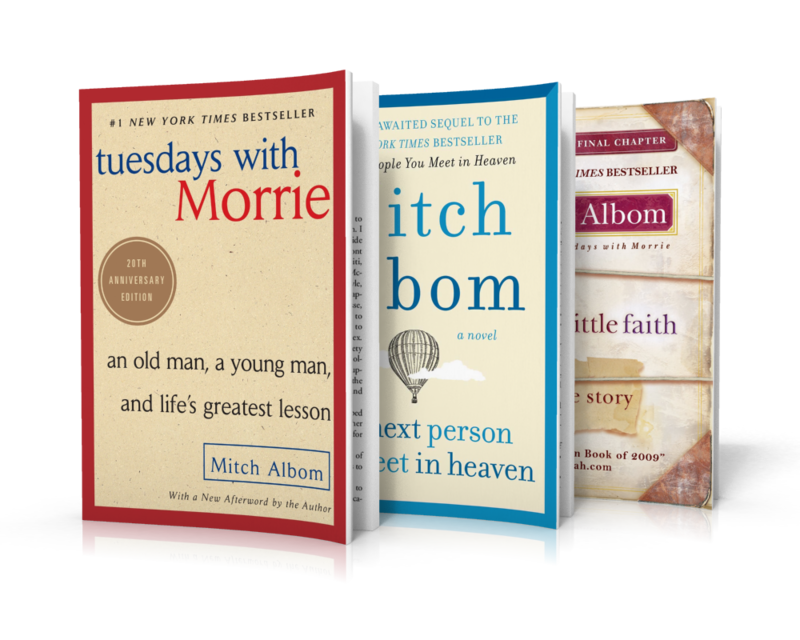 Mitch Albom is an internationally renowned and best-selling author, journalist, screenwriter, playwright, radio and television broadcaster and a musician. The best-selling author of 39 Million books shares his daily routines, how he began writing about life and death and why it’s important to focus on what truly matters. Through Mitch’s career he’s been featured on The Oprah Winfrey Show, The Today Show, ABC’s Good Morning America, Dr. Phil, Larry King Live, The View, The Late Late Show, and countless media outlets.